Gov. Jerry Brown today declared a state of emergency in California to mobilize additional resources in the fight against a series of wildfires including the Wragg Fire in Napa and Solano counties. The proclamation today noted that fires burning in more than a dozen counties across the state have damaged thousands of acres and strained state and local resources. Brown previously declared a state of emergency in January due to the drought that the state has experienced for the past four years, which has increased the risk of wildfire. Today’s proclamation calls on state agencies to assist in firefighting efforts and mobilizes the California National Guard to support disaster response and relief efforts. The National Guard today activated two air tankers to assist Cal Fire, and on Thursday mobilized nine helicopters. The proclamation notes that the state has already requested federal Fire Management Assistance grants to assist with the Wragg Fire in Napa, Solano and Yolo counties and with the North Fire in San Bernardino County. The Wragg Fire, first reported around 2:30 p.m. on July 22 in the area of state Highway 128 at Wragg Canyon Road, has burned just over 8,000 acres and is 92 percent contained, Cal Fire officials reported shortly before 6 p.m. on Friday. Fire officials currently estimate it could be contained by Aug. 3. The fire has destroyed two outbuildings and damaged three outbuildings and one home. It continues to threaten 136 other structures, fire officials said. No injuries have been reported and all evacuations have been lifted. Other nearby fires of note include the Rocky Fire, which has burned 18,000 acres in Lake County and multiple lightning fires in Mendocino County, which have burned around 50 acres. Statewide, Cal Fire officials said lightning storms and gusty winds in Northern California have sparked new fires today, and as of this evening more than 8,000 firefighters are fighting 23 large fires. A Red Flag Warning advisory for high fire danger has been issuedfor the northern part of the state by the National Weather Service due to dry thunderstorms and winds. Must’ve missed governor Brown’s proclamation about Katie Steinle’s murder. Geez, that was a month ago and the cowardly governor hasn’t surfaced yet. You smell Jerry. You smell really bad. What a bunch of BS! 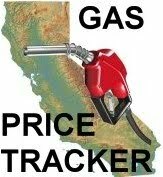 When we are running out of water the SOB governor keeps allowing new home construction, allows CCWD to raise rates because “they aren’t making enough while people conserve water” (F$%^ YOU CCWD!!) and does nothing to stop government water waste. Perhaps because it is the Governor’s job to run California, not referee squabbles between city officials and the federal government? You have a problem with ‘sanctuary cities’; fine, a lot of us do. The State of California has no jurisdiction over whatever nonsense the city fathers of SF, in their infinite wisdom (/s) choose to do. Please direct your rage at those accountable. I don’t know about you, but I’d prefer the governor keep his nose out of local jurisdictions. Wrong. Jerry Brown, Kamala Harris, Gavin Newsome, and Mayor Lee basically invited the trash to come and stay and commit the most horrific crimes. CalOldBlue, try and keep up OK? I declare a State of Emergency due to the raging liberalism running rampant in CA!! Like the bumper sticker says. Next post: What’s Happening in Downtown Martinez?